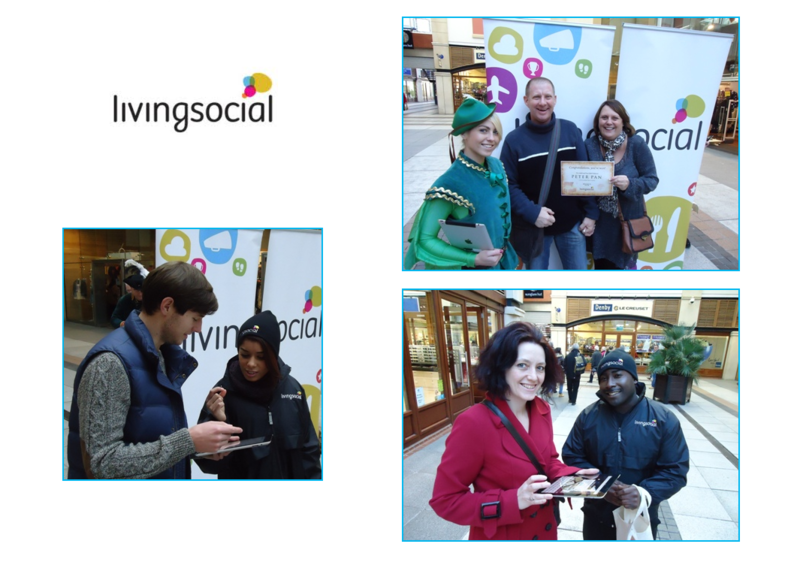 Data capture to increase subscriptions to Living Social on the South Coast, by supplying Brand Ambassadors & Actors to engage with the target market. We sourced BA's who had experience of data capture, as they would be tasked to approach consumers and encourage them to sign up to the offers available. There was a competition to win Theatre tickets to the local pantomime too. So we sourced our very own Peter Pan & Captain Hook, to create a bit of street Theatre ourselves! To oversee this event and manage a team of 6, we booked an experienced Event Manager who comunicated with the client throughout and monitored the data capture throughout the day.